An elegant, timeless and functional object. Simple and beautiful, inspired by the international life style of its designer, Lluis Codina. Provides an excellent combination of comfort, lightness and reduced sizes but at same time offers a generous and pleasant seating depth. 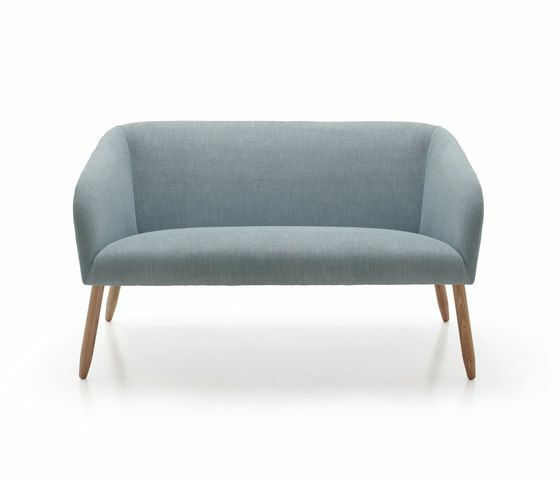 Pao’s goal is the perfect combination of shape, functionality, comfort, detail and aesthetic. It is such a versatile chair that can fit in any place, public or private not compromising quality and perfection. MATERIALS: – Main frame with metallic bars and curved pieces laser cut on a solid brushed pine wood. Suspension with NEA elastic webbing with 10 year guarantee, covered with 30kg/m3 foam. – Seat cushion integrated in frame made with 40kg/m3 foam. – All inner parts of chair are covered with 400gr/m2 siliconed fiber with support of 100% extra soft microfiber. Legs turned in solid oak attached and glued in the internal frame.